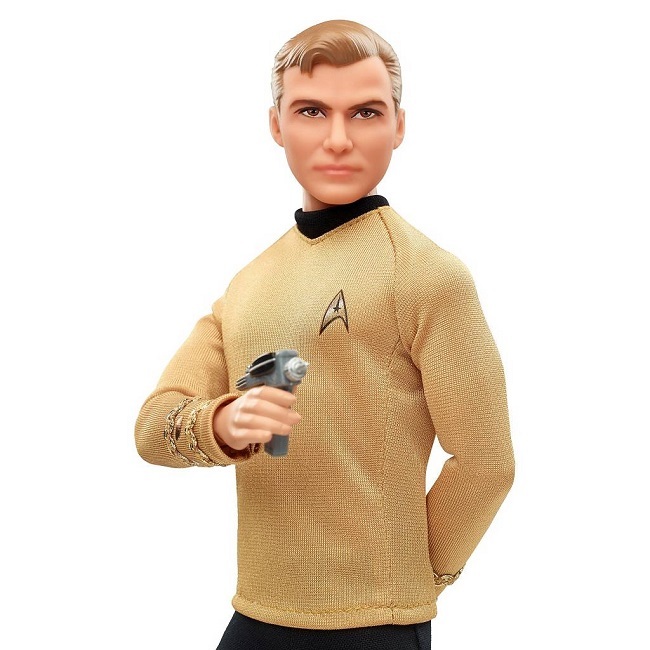 This year marks the 50th Anniversary of the Star Trek franchise. The first episode on NBC – titled “The Man Trap,” aired on September 8th, 1966. Nerds would never be the same. As part of the big celebration, Mattel is producing a new line of Barbie dolls based on the original series. 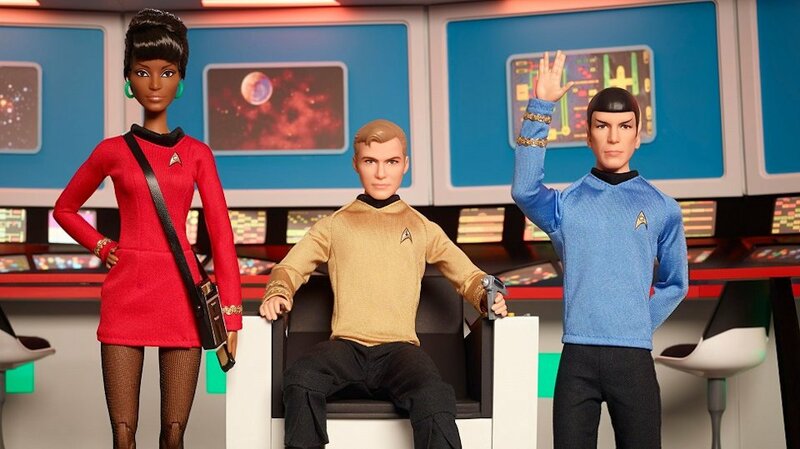 To start things off, there’s Captain James T. Kirk, Mr. Spock, and Lt. Uhura. 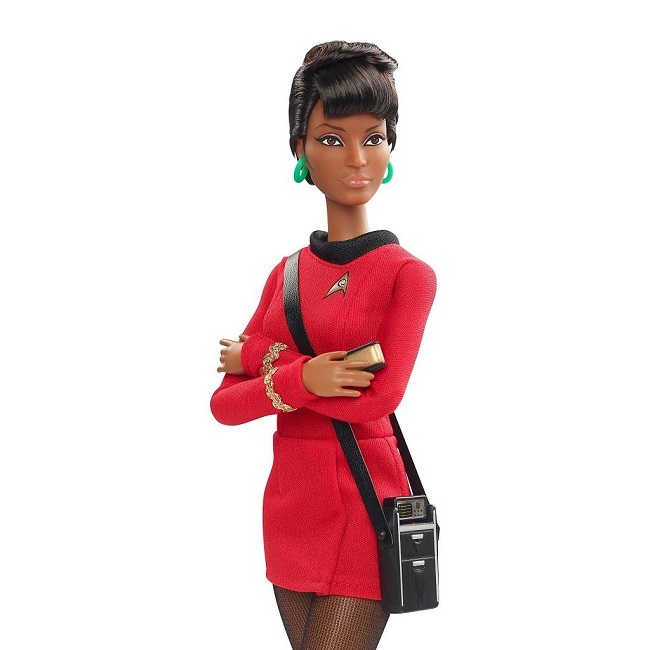 They have great detailing, especially Uhura. I’m guessing more will follow if these are a success. I hope so anyway. They look pretty awesome. They will cost you $35 each when they hit stores this July. 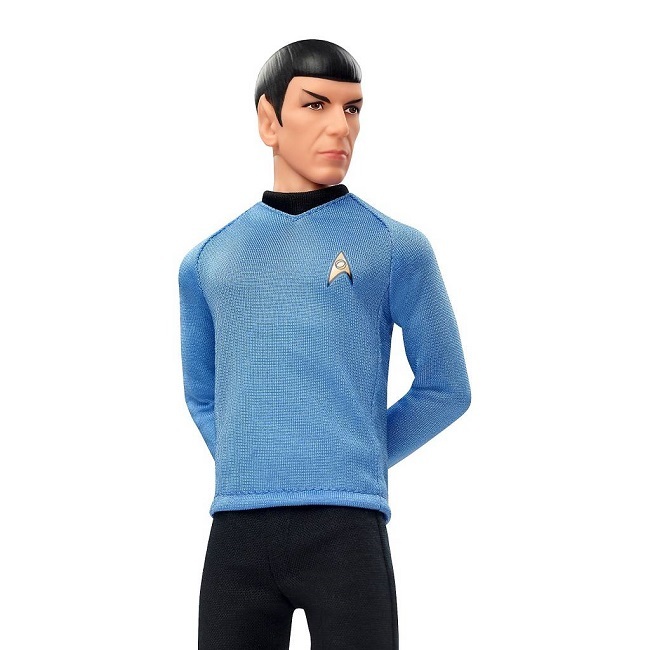 You can pre-order Spock and Kirk on Amazon already. These will get the guys playing with Barbie dolls for sure.